Remember the situation in March, 1815. The victorious Allies were still carving up the map and dancing their hearts out at the Congress of Vienna. When they learned of Napoleon’s escape from Elba and his intention to re-establish his empire, the Allies designated four armies to prevent this. One was British and Belgian-Dutch with some German elements, commanded by Wellington, pictured above. After he reached Paris, Napoleon’s plan was to march north from the French border to Brussels, defeating the Allied troops stationed around Brussels led by Wellington and the Prussian troops who were moving west from Germany toward a rendezvous with Wellington. Napoleon planned to prevent that meeting by keeping the two Allied armies apart. The plan of Wellington and Blücher was to meet up and defeat the French forces. At right, Prussian Field Marshall Gebhard Leberecht von Blücher. 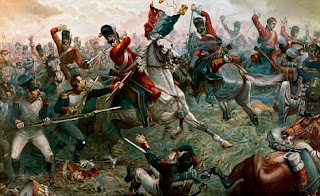 The first battle was Quatre Bras (pronounced something like Ka-tra-BRA, meaning Four Arms), a strategic crossroads village. The road from the French border north to Brussels here crosses the east-west road from Germany to the coastal ports. At left, Quatre Bras today. The English arrived here on the morning of June 16 and met French forces sent by Napoleon and led by Marshal Ney. 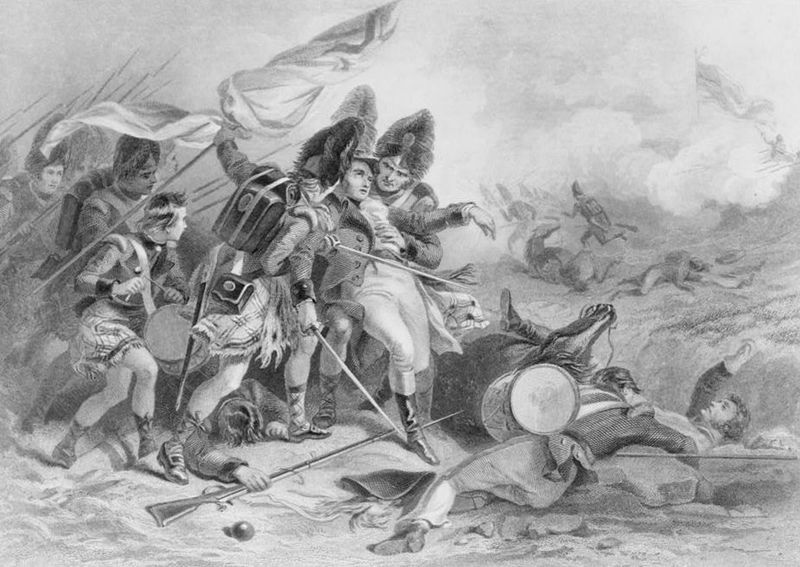 As more and more Allied troops arrived, Wellington was able to hold off the French. Meanwhile, at Ligny, near Fleurus in present day Belgium, the Prussian forces were beaten by the French. Right, the battlefield at Ligny where the Prussians were defeated. Above, the monument at Fleurus honors three French victories. The 1815 victory at the nearby village of Ligny over the Prussians was the final victory of Napoleon’s career on June 16, 1815. Two days later, so to speak, he met his Waterloo! to fight the French with their combined forces. Several monuments to the Prussians are found around the area. Below is the courtyard of La Belle Alliance, where Blücher and Wellington met after the battle on the evening of Sunday, June 18, 1815. They agreed that the Prussians should chase the fleeing French back to the border and into France. Meanwhile, Wellington would rest his troops for a day or so before joining in the pursuit. For most of the day, the British-Netherlands-Hanoverian troops had held out against the French until the Prussians arrived on the Western flank of the battle. At this point the British troops drove back the French Imperial Guard and it was soon a rout. This is our first view of the Waterloo battlefield. As you can see, the day was sunny and bright, but that didn’t last. It was just the opposite 195 years ago. It poured rain all night and left both armies cold, wet, and hungry. Wellington’s troops were drawn up looking in the direction of this picture. Napoleon’s army was on the opposite side of the valley to the south. All morning the Allies waited for the attack, but the French were waiting for the ground to dry out a bit. The mud made it almost impossible to move cannons, but the weather improved a little by the opening salvo about 11:30 am. This is the famous Lion Mount, a memorial to the Prince of Orange on the spot where he was wounded. It was created from 10 million cubic feet of earth, scraped from the battlefield. The Prince was a sort of second-in-command to Wellington, but most British historians feel he was too young and inexperienced to have contributed much. When the Duke of Wellington saw the Lion Mound (constructed from 1824-26), he complained, “They have ruined my battlefield.” In this view, we were walking toward the cafes, visitor’s center, panorama and the Lion Mound, which is also near the tree under which Wellington directed most of the battle. As you can see, by our second and longer visit to the actual battlefield, it had darkened up with rainclouds. In another blog, we cover our visit to the encampment of the French re-enactors at Caillou, the small farmhouse in which Napoleon spent the night of June 17-18. Here we all are trying to duck out of the rain at the site of the Battlefield Welcome center, Panorama, and cluster of restaurants. Wonder if the Zebra Crossing would have helped or hindered Wellington’s operations. The actual village of Waterloo is a few miles north. The building in which Wellington spent the night before the battle and in which he wrote most of his Waterloo dispatch afterwards is now a museum. Right, more views of the restaurants, etc. at the battlefield. about Wellington’s victory over Napoleon. Must have been translated from the French! Kristine is entirely annoyed at the lack of Wellington memorabilia — Napoleon (the loser) on the other hand, was everywhere. Busts, action figures, key chains, tee shirts, you name it, Napoleon’s face was on it. Bah, we said. Remember who won. We had to take shelter from occasional showers in these tents set up for text panels explaining the battle, but there were so many people crowded in them we could not read them in any sort of reasonable order. Like most of the postings around Waterloo, it doesn’t actually say the Allied forces won and the French lost, does it? Saturday afternoon, under threatening skies, we walked diagonally across the final section of the battlefield in the waving wheat. I am sure the horses and marching columns of men mowed it down quite effectively on Sunday. People risked life and limb to get the best shot! Above and below, the current state of the remnants of the sunken road that ran alongside the battleground and caused trouble for the French cavalry. The Hussars conduct reconnaissance of the battlefield on Saturday. The weather was no better on Sunday, the day of the actual reenactment. But at least it was, in some part, historically accurate. 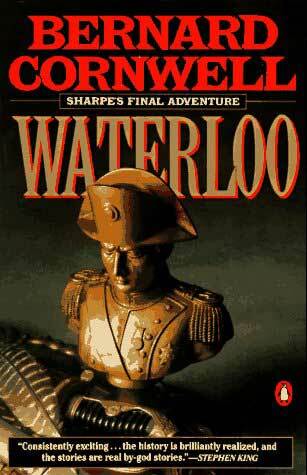 Here are a couple of suggestions for further reading on the Battle of Waterloo. 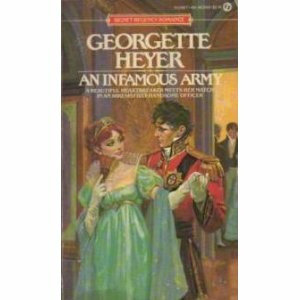 If you are a fiction fan, the account in Georgette Heyer’s novel An Infamous Army was once used as a text at the British military college Sandhurst. The final Sharpe adventure is excellent, and the account of the battle is reasonably accurate if you remove Sharpe from the action, in a sense. 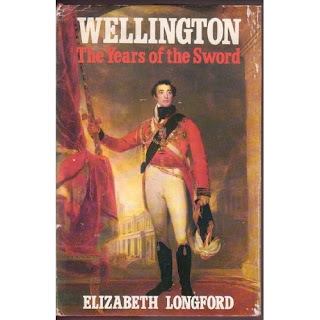 The late Elizabeth Longford wrote a two-volume biography of the Duke of Wellington. In the first of these, The Years of the Sword, there is an excellent account of the battle. Of course there are hundreds of books about the Battle of Waterloo, the Peninsular Wars, the Napoleonic Wars, the Congress of Vienna, etc. etc. as well as websites, blogs and films. I haven’t fnished it yet, but I also recommend the book by the expert who accompanied our Waterloo visit, Jeremy Black of the Univerity of Exeter, UK. 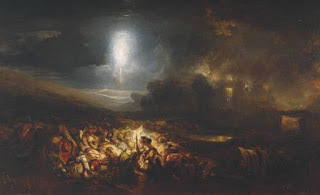 To conclude, here is the painting of Waterloo after the battle by Joseph Mallord William Turner RA (1775–1851). It hangs in the Tate Britain in London and portrays the horrors of the aftermath, the wounded and dying men and horses, the mud, the searching and grieving friends and relatives, the scavengers, the essential darkness. Kristine here, back in the land of television shows in English and computer keyboards with all the keys where they should be. I did try to post while in France, but honestly, it was too frustrating. As Vicky has posted, once she is also back in the States we’ll be posting blogs and pics of our trip, but for now I’ll give you the highlights of the Wellington tour once Vicky and I parted ways. Vicky and Ed left us on Sunday morning, Battle of Waterloo day, in order to make their cruise connection. Brooke and I went on with the tour to the re-enactment site. 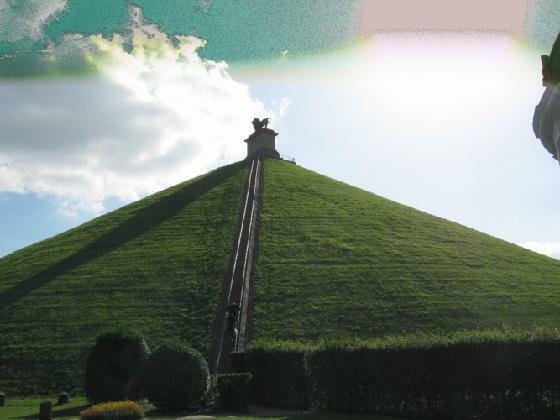 When we’d visited the day before to see the military camps, La Belle Alliance and Hougemount, someone had asked me if I were going to walk to the top of the Lion’s Mound, the great man-made hill erected to commemorate the Battle and I responded, emphatically, no. It’s an almost verticle hill with many, many steps to the top. Well, dear reader, never say never. It turns out that there were so many visitors to the battle that if you’d stayed on the ground, you’d never see a thing, being five or six deep in a crowd of spectators. It was absolutely freezing on the day, and had rained the day before so Brooke and I bought commemorative Waterloo blankets (not kidding) and began the long climb up the mound. We got about half way there and found ourselves spots from which to view the action. Once you left the stairs, you had to crouch down in order to walk to your place, the slope is so steep. Also, it’s covered in slippery grass, with no footholds to speak of. Talk about harrowing. Brooke later told me that she’d never before actually seen terror in anyone’s eyes as she had when she was helping me to our place. The fact that people above us kept losing their personal items – cameras, umbrellas and such – and that these kept rolling down the hill past us did not offer us much comfort. At last we found purchase, digging our heels and butts into the hillside in order to gain a bit of purchase, and settled in for the show. . .
And what a show it was. It was absolutely thrilling to be in the thick of the Battle, so to speak. The formations, the cannons going off, the rifles being fired, the smoke enveloping the field as mounted calvary cantered across the field, all of it was fabulous. And to add to the authenticity of the thing, it began to bucket down rain. So now I’m precariously perched on the side of the Mound, watching the battle, holding an umbrella over us and trying to film the Battle. It was at this point that Brooke told me she wasn’t into Wellington as much as I was and this was all more of a sacrifice than she was prepared to make and that she was going down the pub to wait for me in the dry, with a drink. Thank God one of fellow tour members, an exceedingly nice man who was a retired police detective from Surrey, was with us and able to help me back down the Mound at the end or I’d still be sitting at the Battlefield. Vicky and I took masses of photos all along the way and we promise to post them soon – shots of the military camps, the battle sites and lots of re-enactors in various uniforms. I also took much video – including footage of “Wellington” on horseback, galloping between regiments – and if I can figure out how to edit these, I’ll be posting them in the near future. It’s grand to be back and we look forward to sharing our trip via our posts here soon. The following email was passed on from the Historical Novel Society and we in turn are now passing it on to you, as we feel it may be of interest. 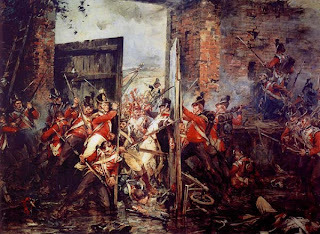 During the Battle of Waterloo, Chateau Hougoumont was the scene of almost constant fighting, hour upon hour of artillery, fires, attacks from waves of soldiers. Hundreds of men died inside and out. It is certainly worth commemorating. I am sending this e mail to a number of friends who I think might be interested in history, or may know someone who has such an interest. 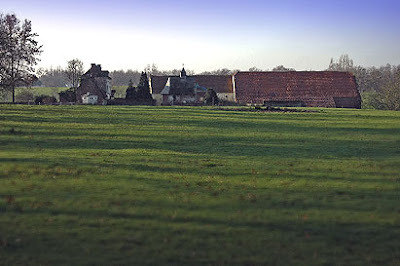 I am on the committee of Project Hougoumont, the official organization that plans to restore the Farm at Hougoumont, on the battlefield of Waterloo. In cooperation with the local and federal authorities in Belgium, we are hoping to raise approximately 40% of the cost of the renovation of this historic centre of the battle that changed the course of history on June 18th, 1815. Project Hougoumont also has the agreement of the Belgian Authorities to commission a monument that will be placed inside the gates at Hougoumont in memory of the British Army that fought at Waterloo. You may be surprised to learn that whilst there are monuments to the French, Belgian, Hanoverian, Nassau and Prussian forces that fought in the great battle, there has never been a monument to the British officers and men who formed the greater part of Wellington’s army. To accomplish the above, we wish to set up a network of interested people who may wish to take part in this historic event. You may wish to help sponsor this project or at least be kept informed of its progress. The project has developed a very novel idea for fund raising that will name sponsors on a Roll of Honour that will be kept at Waterloo for all time. Future generations will be able to see the Roll of Honour on a computer and in a series of volumns located in the farmhouse at Hougoumont. Project Hougoumont would like to e-mail you on a regular basis to up date you on progress with the restoration of the farm and the commissioning of the monument. We have set up a secure network that ensures that your e-mail address is not circulated to anyone without your permission, and we will require your agreement to put your name on our networking list. All of us at Project Hougoumont welcome your interest in this exciting project. Read more on our website. 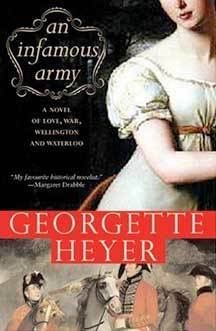 Author Kristine HughesPosted on May 14, 2010 Categories Battle of Waterloo, UncategorizedLeave a comment on Save Hougoumont! Saturday, June 12th – Kristine and Brooke arrive in London, and within hours we head out to the Queen’s Gallery at Buckingham Palace to see the Victoria and Albert: Art and Love exhibition. Then it’s over to Apsley House (Yes!) and a walk round the St. James’s area, taking in the Square, the side streets, the shops and Piccadilly. No doubt we’ll be dropping in to the Red Lion Pub, a few doors up from the Almack’s Building, for a pint. Or two. That night, we’ll be dining at the Grenadier Pub in Wilton Row, once the local pub for the men in the Duke of Wellington’s Regiment and filled with military and Wellington memorabilia. Sunday, June 13th – This one is subject to change. 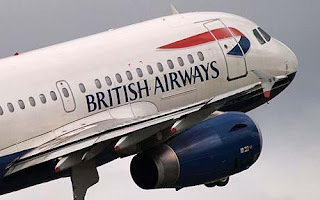 It’s either off to a Sunday roast at Gordon Ramsay’s Chelsea restaurant, Foxtrot Oscar’s, and then on to the National Army Museum and perhaps to Liberty’s before they close at 6 p.m. Or, Victoria will be doing research while Brooke and I head out to Hampstead, the Heath and Kenwood House. Monday, June 14th – To Kensington Palace, with tea in the Orangery, and then we’re off to Cecil Court and Charing Cross Road for book browsing, to Grosvenor Prints in Seven Dials for print browsing, followed by drinks at the Landsdowne Club and perhaps a dinner of Peking duck in Leicester Square. 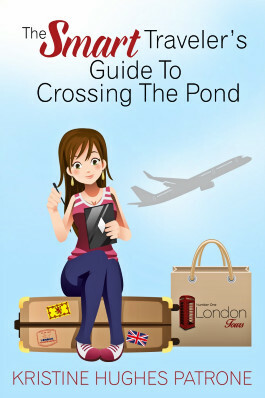 Tuesday, June 15th – We’re off to Windsor to spend the day with author Hester Davenport. 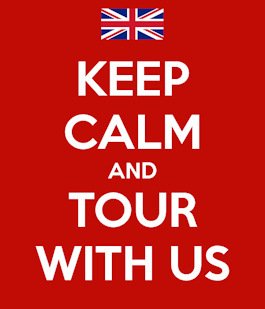 A tour of the Castle, old Windsor and a meal are all on the agenda. No plans for this evening, as no doubt we’ll be knackered. Wednesday, June 16th – Victoria’s husband, Ed, arrives and she’s off to spend the day with him. If they haven’t yet made it to Hampstead, Brooke and Kristine will do that. If they have, then instead they plan to visit lots of pubs, browse at Top Shop and Sephora and God only knows what else. 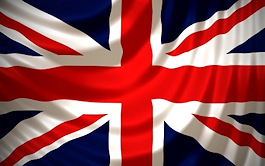 Thursday, June 17th – We all head out to Dover, cross the English Channel and end up in Waterloo – Woooo Hooooo! 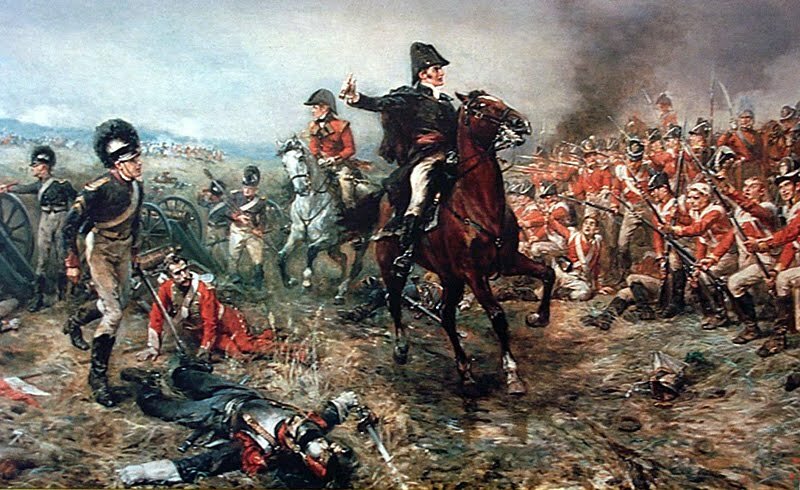 Friday, June 18th – Tour of the Waterloo sights and battle camps, with fireworks in the evening. Wooo Hooo again! Saturday, June 19th – Visit the battle locations in and around Waterloo, with evening tour in Brussels titled “Walking in Wellington’s Footsteps.” Double Woooo Hoooo! Sunday, June 20th – The re-enactment of the Battle of Waterloo – Huzzah! After which, Brooke and I again follow in Wellington’s footsteps and head off to Paris for a few days, while Victoria and Ed embark on a Rhine river cruise. So there you have it. As I’ve indicated before, Victoria and I will be doing in-depth blogs on the various places we plan to visit and . . . . we’ll be bringing along a video camera, which neither of us really knows how to use beyond the old “point and shoot” method. If you can put up with the shaking, weird camera angles, any light problems and the like, we’ll be posting the videos on this blog for all to see. . . . as they say in England – oy vey. Do You Know About the Waterloo 1815 Website? 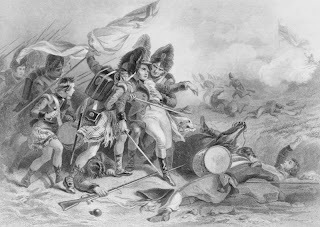 Author Kristine HughesPosted on April 5, 2010 Categories Battle of Waterloo, Do You Know About?, Uncategorized2 Comments on Do You Know About the Waterloo 1815 Website?